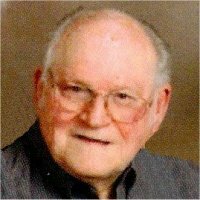 Gene R. Brookens, 80, of Belleville, Illinois, born Sunday, February 27, 1938, in Sioux Falls, SD, passed away Sunday, December 16, 2018 at St. Elizabeth’s Hospital in Shiloh, IL. Gene was a 20 year U.S. Air Force Veteran in the Supply career field. He was a member of St. Matthew United Methodist Church Belleville Illinois. He was kind, caring, and would help anyone in need. He never met a stranger and always wore a smile. Memorials: Memorials may be made to St. Matthew United Methodist Church or the Wounded Warriors Project. Memorial Service: Memorial service will be held at 11:00am on Saturday, January 26, 2019, at St. Matthew United Methodist Church with Rev. Andy Black officiating. Interment will be at a later date in the spring at Jefferson Barracks National Cemetery, St. Louis, Missouri in May.